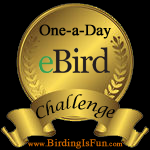 This entry was posted in Bird Books, Birding, Birding Items, General Birding, Nature and tagged Bird Books, Cornell Lab of Ornithology, Home Study Course in Bird Biology, Princeton University Press. Bookmark the permalink. It sounds excellent! I look forward to hearing about what it’s like; it sounds like a course I would be interested in. Looking forward to reading this series. My 13 yo dd is developing into a keen birder and it sounds like the sort of thing she would be interested in doing in a year or two . Hopefully the new edition will be out by then although I think we can access the old one. We’re in New Zealand and one of my fears is the course will be all North American focussed so I’ll be interested in your views on that. 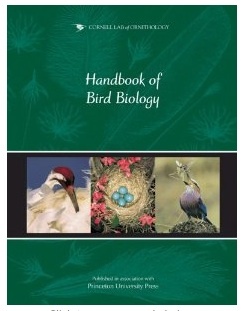 Dear Sandra, most of the course is bird biology so that part isn’t at all country specific. However, the book starts with a section on “Birds and Humans: A Historical Perspective”, and while part of that section is about birds in literature, culture, and religion, there’s another part about the evolution of North American ornithology (Audubon, etc.). And the last chapter is on Bird Conservation which I think might look at the subject from a North American perspective. But for bird biology, there really isn’t anything else comparable, and if your daughter is interested in anatomy and physiology it would be a great course to take. I will keep your thoughts in mind as I work through the book, especially for the last chapter. Good for you! Great idea. Good for you. I’m sure you will do well. I’m glad you could find a copy! Hope all goes well.